Bootcamp Tulsa is Oklahoma’s most successful bootcamp-style women’s fitness program and arguably one of Oklahoma’s most successful women’s fitness programs overall. Bootcamp Tulsa founder, Coach Jon Conneely and his team bring a contagious amount of energy to each and every workout experience that they provide for their clients. 1) Professional Videography – Over the years we have helped Coach JC and his team to look and feel their best by providing professional Tulsa commercial videography services. 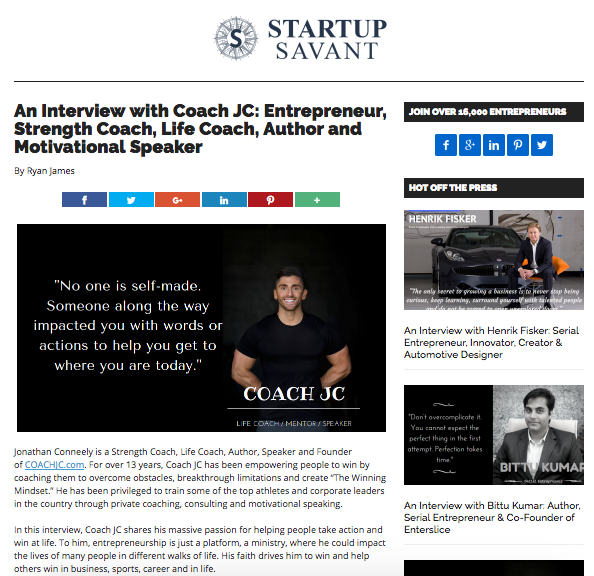 The videos we have created for Coach JC have been created to enhance his website presence, his internet marketing activities and his overall brand look and feel. Nothing can quite capture the emotion, the nuance the detail of a brand like video. While working with Coach JC over the years we have used video on countless occasions to share the bootcamp experience with others. 2) Professional Photography – Our team has assisted Coach JC in created visual images that are at the excellent level of the actual fitness, health and wellness services that his team provides. We have helped coordinate and capture Coach JC with the proper lighting and settings needed to accurately showcase who he is and what he is all about. Coach JC is sincere about changing lives and we want to make sure that our images showcase this. 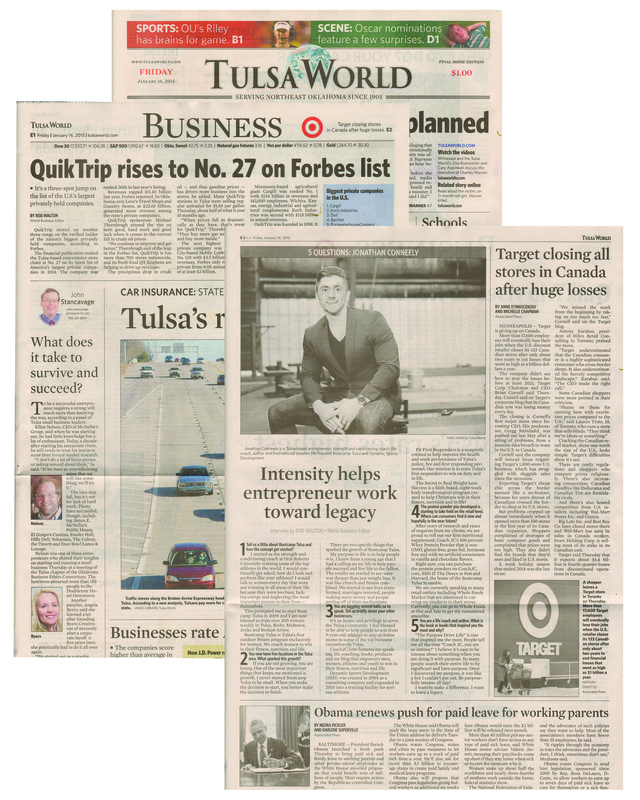 3) Public Relations – Our job as the leading Tulsa PR Firm is to help our clients share their story, their business and their brand with their local community in a compelling and meaningful way. Since working with Coach, we have helped him to get into countless media outlets including: Spirit Magazine, Tulsa People, Tulsa World, Fox23, Channel 2, Channel 6, Channel 8 and numerous other media sources. The city has really embraced Coach JC, the more that they have had a chance to meet him. His charismatic personality, charm and commitment to excellence are contagious. Click here to view Coach JC in action. 4) Sales System Creation – Most Tulsa business consulting firms and PR firms fail to close the loop when it comes to actually helping clients to close deals and sell something. In reality selling is not about high-pressuring people into buying things that they don’t want need and it’s not just about taking orders either. Sales is all about helping prospects to truly identify their needs and the products, services and solutions that we will best help them move from where they are to where they want to be. We have worked with Bootcamp Tulsa to help develop the tools and systems that they use to help women discover the limiting factors that are preventing them from getting to where they want to be in terms of their personal fitness level. 5) Workflow Development – Once your phone rings what happens next? Once an e-mail inquiry comes in what happens next? We have worked with Coach JC to develop turn-key workflow systems that allows his team to consistently deliver high quality levels of customer service on a daily basis. In order to grow a business it all comes down to the checklists, systems and workflows being used on a daily basis and these are what we have helped Bootcamp Tulsa to create. 6) Human Resource Development – Finding, recruiting, empowering, training and managing employees is one of the hardest things for many American businesses. 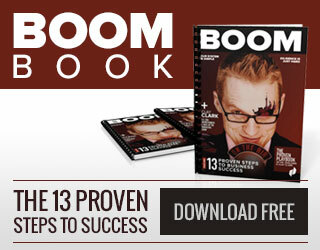 We have worked with Bootcamp Tulsa to create a systematic approach to achieving these goals. 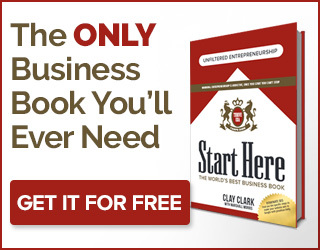 All of the marketing in the world is meaningless if a business cannot properly staff itself. We have helped Coach JC to bridge this gap. 7) Trade Show Strategy Development – Going to a trade show can be extremely fruitful or a complete waste of time. Throughout the years we have worked with Coach JC and his brands to develop a strong trade show booth, presence and overall presentation. The presentations and systems that we have developed and helped his companies to bring thousands of ladies out experience bootcamp first hand. When we work with clients to help them with their trade show strategies we don’t just don’t at designing the booth. We help teams to develop conversion strategies, print pieces, banners, supporting print materials, pricing models, staffing solutions, event checklist systems and internal staffing training systems. 8) Print Piece Creation – Business cards can say a lot about a business both good and bad. Whenever the Bootcamp team members are passing out their business cards we have focused on equipping them with the very best cards in the market. We want their business cards to showcase the quality of Bootcamp Tulsa and a convey an experience worth exploring for new and potentially new customers. 9) Web Development – When you visit www.BootcampTulsa.com and www.TheDSD.com we want you to be wowed and to be compelled to find out more about his amazing products and services. Often times websites can be designed so poorly that customers want to leave a website as soon as they find it. For a better understanding of the web-enhancement services that we have provided for Bootcamp Tulsa and Dynamic Sports Development we encourage you to simply visit their websites. 10) Internet / Search Engine Optimization – Having a wonderful site that nobody finds is somewhat pointless. We have worked diligently with Bootcamp to develop the most systematic approach that anyone in the Tulsa Business Consulting Market has ever taken to search engine optimization. Being on page 2 or 3 of Google search results is much like not being listed on Google search results at all and we know that. Our team has created thousands and high-quality backlinks, hundreds of pages of original content, thousands of videos and the HTML “Google Friendly” website architecture that all search engines love. Take a moment and “Google Search”: Bootcamps in Tulsa, Tulsa Bootcamps, Tulsa fitness, Tulsa Sports Training, Tulsa Athletic Training and countless other related terms and you will see the results that we deliver to clients first hand. 11) Company Culture Development – As companies grow it is very important they maintain and develop a strong culture. In order to foster this type of community and culture development often times handbooks, print pieces and company events must be organized and facilitated. 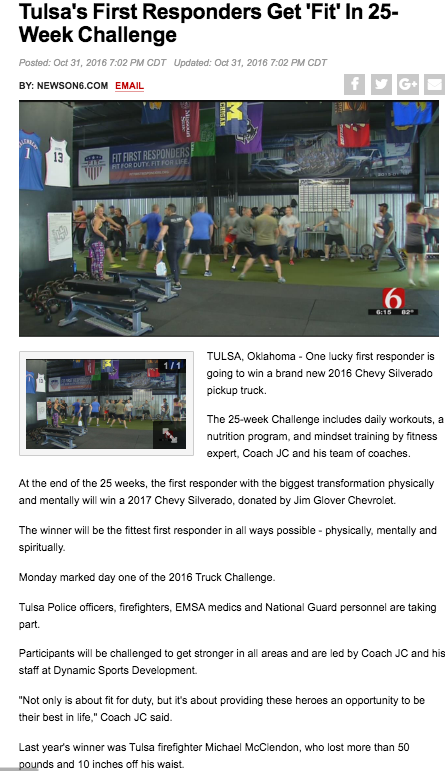 Whether, it’s the annual holiday party of the community events such as the “Change A Life Challenge” we have worked to help build a culture that truly sets Bootcamp Tulsa apart from other companies. 12) Event Planning – When planning marketing, staff, public relations and other types of events, the difference is always found in the details. Most companies simply let a few people know about their event and hope that it turns out all right. At Make Your Life Epic Tulsa Business Consulting we go the extra mile and then the extra mile after the extra mile. We literally plan out every detail of the event from the song list, the DJ’s attire, the food options, the volunteer staff coordination, the event time line, the emceeing, the photography, the videography, child-care planning, and even the giving away of large over-sized checks. Throughout the years we have coordinated BCT events involving the Tulsa Mayor, the Tulsa Fire Department, Churches, Charities and countless other organizations. At Make Your Life Epic Tulsa PR Firm, we believe that it’s not worth doing if we’re not going to do it right. 13) Community Event Organizing – It’s important for any small business to engage in the community with which they do business and want to do business. Coach JC has a big heart and loves to give back and so we have been able to team up with his companies to help raise thousands of dollars for the charities including the Little Light House. Each year we organized the “Win For Life” and the “Change A Life Challenge” events. We’ve hosted events in conjunction with Jackie Cooper Mercedes that have even featured the giveaway of an actual Mercedes. 14) Sponsorship Development – Whole Foods, Food To Be Fit, Chick-fil-A and countless other sponsors have supported Coach JC’s events throughout the year. It’s our job to help establish and nurture these win-win relationships in a manageable way. Too often PR firms recommend sponsorship concepts without the ability to establish, maintain and grow these relationships. We believe that our clients are in business for the long haul and thus we want to make sure that we help them to foster long-term relationships with their generous sponsors. 15) Branding – Branding is all about increasing the perceived value of a company and the products and services it offers. Working with Coach JC has been a pleasure because the value of the products that he has developed are first class and we simply need to get his branding materials up the level of the services that he has provided to the community for years. Raising the level of his brand has been achieved through the creation of business cards, t-shirts, print pieces, trade show booths, video segments, photographic content, public relations and countless other nuanced deliverables. 16) Scripting – Great businesses can deliver a consistent level of quality to their customers day in and day out, yet very few businesses do this. Over the years we have worked with the team to develop turn-key scripts for customer service, FAQ, conversion, and countless other questions. We have developed workflows for service fulfillment and we have diligently worked to create the systems, processes and checklists that have become the backbone of this great business.